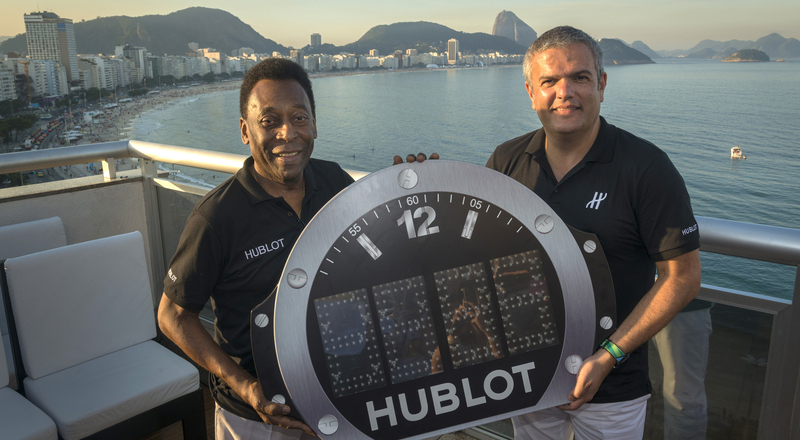 Hublot Loves Football. 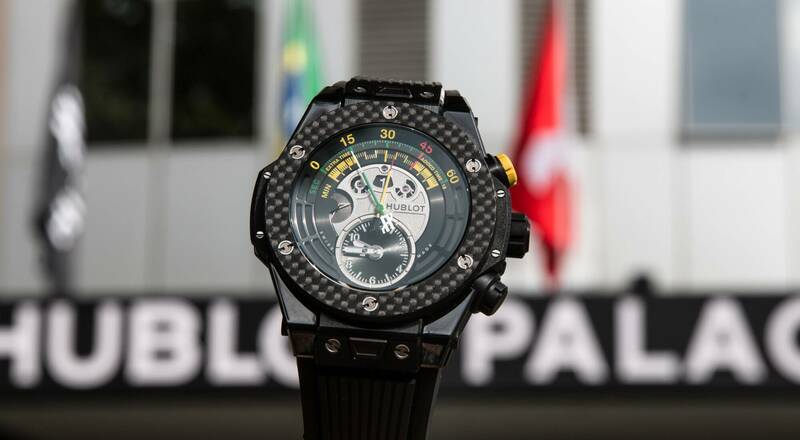 For an entire month, from June 12 to July 13, the Swiss watchmaker has been moving to the Rio de Janeiro beat. 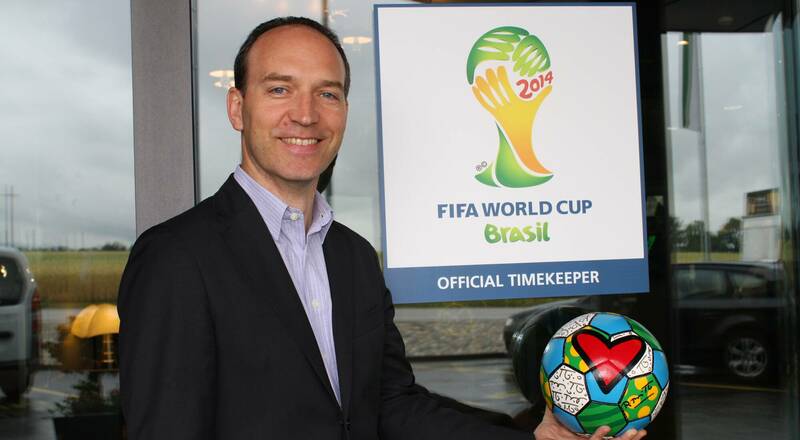 From its base at a boutique hotel right on Copacabana Beach – dubbed the “Hublot Palace” for the duration of the tournament – the Official Timekeeper of the 2014 FIFA World Cup™ has been spotlighting the groundbreaking nature of its strategic partnership with football’s world governing body. “Be the first, be unique, be different,” was the philosophy applied to all of the brand’s activities by Jean-Claude Biver and Ricardo Guadalupe when they took over the reins at Hublot in 2004. 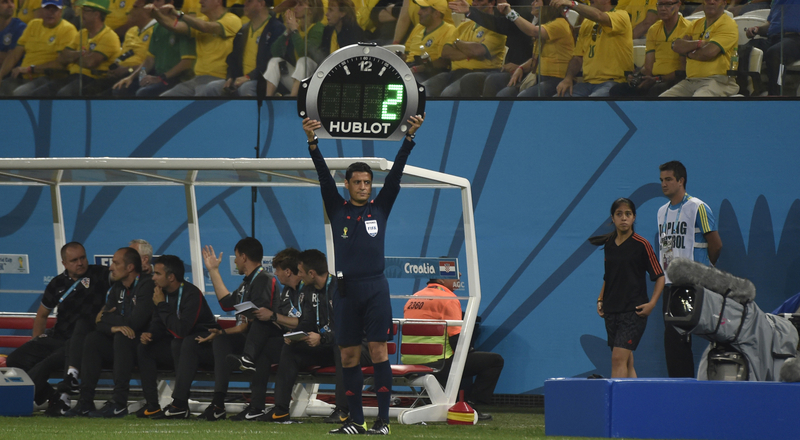 Seeking a platform to project Hublot’s strong association with sports, they turned to football, becoming the official timekeeper for the Swiss team shortly before the 2006 World Cup. “This carefully considered strategic choice heralded the start of our phenomenally successful partnership with football,” says the firm’s Marketing Director Philippe Tardivel. “Hublot was the first luxury brand to take the bold step of investing in this new territory.” Almost ten years later, the strategy has certainly proven successful: Hublot now partners several of Europe’s top clubs (including Bayern Munich, Juventus and Paris Saint Germain) as well as leading personalities in the game, like Pelé, José Mourinho and Radamel Falcao. “Every day brings renewed confirmation that Hublot is also the preferred watch brand of professional footballers and fans alike,” adds Philippe Tardivel. 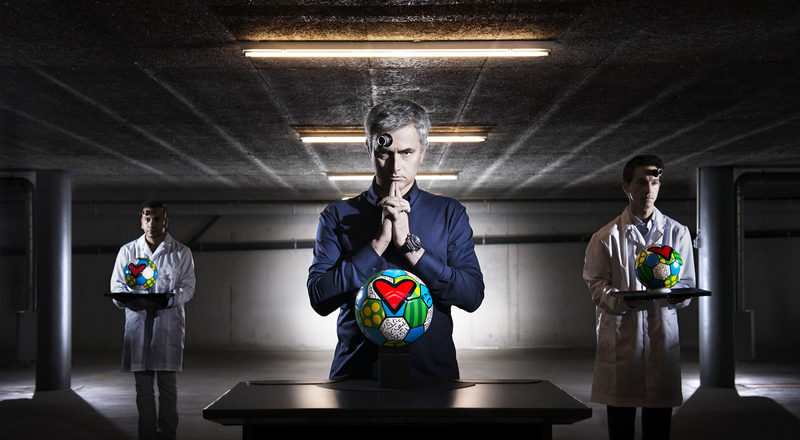 The campaign spotlights all of our brand ambassadors via a series of portraits in which they pose with a ball specially decorated by the renowned Brazilian artist Romero Britto. The same decorated ball design is used as the case for the Official Watch of the World Cup, providing a direct link between the Hublot family and the product – a Big Bang watch that enshrines the very best of Hublot’s expertise, and features the UNICO movement. 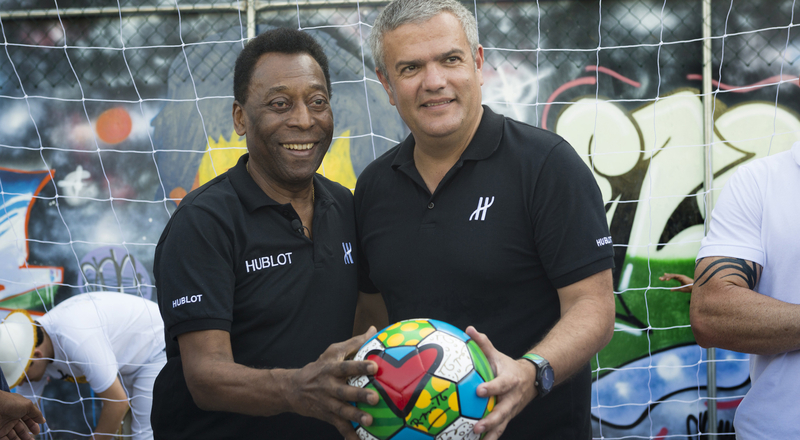 The World Cup has also provided an opportunity to energize Hublot’s sales network. Stores and points of sale have been decorated in the campaign colors, and the best-performing partners have been invited to experience this unforgettable event live in Rio de Janeiro. Over 1,000 partners stayed at the “Hublot Palace” base on Copacabana Beach throughout the four-week tournament. “The entire Hublot team has really gone all out to make sure they enjoy a truly unique experience,” concludes Philippe Tardivel.